Bookings can be made via our online booking form. Please do not book any flights, accommodation or other travel arrangements until your booking has been confirmed by email by Trek Tours Australia. This will help us to confirm your suitability and available places on the tour of your choice. Download our terms and conditions here as a PDF. Trek Tours Australia requires a completed online booking form and non-refundable deposit to confirm your booking. The booking deposit amounts are provided on the individual tour pages and the booking page. Your booking deposit is used towards pre-tour operational and administration costs for your trek. Bookings made within 60 days of departure will require payment in full at the time of booking. The booking deposit is not transferable to others. Final payment: The balance of money owed will be due 60 days prior to departure. If payment is not received you will forfeit your deposit and place on the tour. All prices are per person and inclusive of GST. – If cancellation takes place more than 60 days before your departure date, your full deposit will be forfeited. – If cancellation takes place less than 60 days before your departure date, 100% of the tour price will be forfeited. In view of the heavy penalties applied to cancelled reservations, Trek Tours Australia strongly recommends suitable travel insurance be purchased at the time the deposit is paid. We recommend insurance that covers any loss which may be suffered due to cancellation. – If your notice is received more than 60 days prior to your original departure date, a $50 administration fee will apply and be payable prior to your departure. Please be aware that you may be liable for any increase in prices of airfares, accommodation or other operational services. – If your notice is received less than 60 days before your original departure date, 100% of your tour price will be forfeited. All tours require a moderate to high level of fitness and a degree of mental stamina. Being physically prepared is paramount to the experience and to yours and the group’s safety. If you are not physically prepared you may need to, or may be asked to miss certain days walking for yours and the group’s wellbeing. Being physically prepared will ensure you gain maximum involvement and enjoyment on your trek. Due to the physical activity involved with our treks, all guests 69 years of age or over at the time of their trek will require a medical clearance from a health professional. It is vital that you inform us of any medical conditions that may affect you during your time with us. We need to know so that we can ensure maximum safety, comfort and enjoyment on your trek. Consult your GP before your tour if you have any pre existing medical conditions which may affect you whilst on tour. Please advise us on the Booking Form of any medications you are taking, medical conditions (ie. allergies etc.) and any previous injuries or operations you may have or had. It may be a requirement to have your GP sign a medical clearance form. If medical clearance is not obtained by your doctor your deposit is fully refundable. Any cancellation after a successful medical clearance is subject to our standard cancellation policy. Further information will be provided via email when your booking form is received. Trek Tours Australia strongly recommends all travellers have adequate travel insurance for their trip. Your insurance should provide cover against personal accident and sickness, medical expenses, emergency repatriation and personal liability. We also recommend that the policy covers cancellation, curtailment, loss of luggage and personal effects. For Australian residents: Under the Federal Government Medicare Act it is prohibited for any domestic travel insurance product to provide any financial reimbursement with regard to medical expenses and ambulance/air ambulance services. We advise our travellers to take specific cover for ambulance through their respective State/Territory ambulance providers or through their own private health insurance. 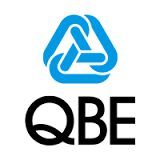 For Trek Tours Australia travel, or travel anywhere in the world – receive a 10% discount on your travel insurance with QBE. All payments are to be made out to Australian Wilderness Adventures Pty Ltd and are in Australian Dollars. We do not accept bookings through retail travel agents. We only deal directly with our guests.